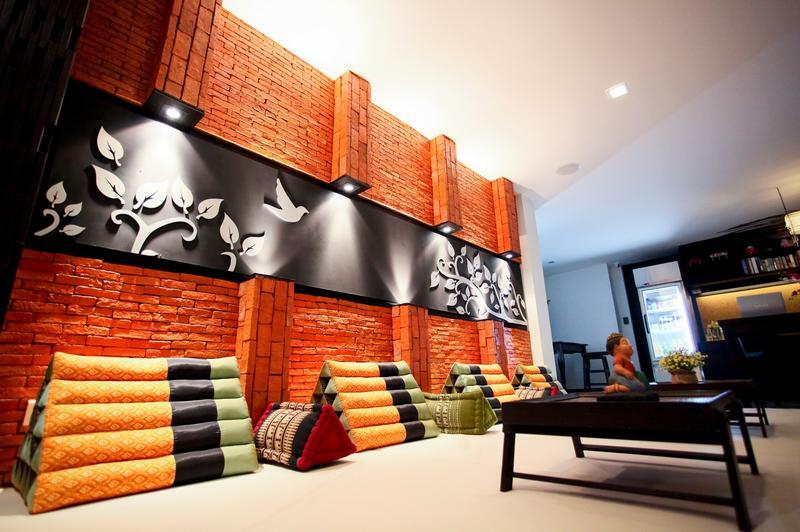 This newly-opened hostel is perfectly located in the very centre of Bangkok. It is close to many tourist attractions, including the Grand Palace, Khao San Road, the Temple of Dawn, Wat Pho, and the famous nightlife and shopping of Bangkok. Our hostel was specially designed for backpackers looking to experience a real Thai home styled with a colourful, friendly attitude, fun and a sociable atmosphere. Surrounded by a garden, our hostel sleeps under a magnificent 150-year-old tamarind tree, giving us our name â€“ NapPark. There are special Thai cushions and handicrafts in all communal areas. We want you to feel comfortable in this unique travellerâ€™s home. We offer the highest standard of amenities and commodities. You can relax in our comfortable beds with clean and stylish shower rooms. Wi-Fi is also accessible throughout the building. Our standard and economy â€˜NapSpaceâ€™ is actually the same type of dorm but the position of economy beds are more easy to be disturbed by guest entering the room. So we discount those beds for very budget travellers. Our friendly English-speaking staff are ready to welcome all guests and provide 24-hour service. Our features include free individual lockers and locks; free linens, towels, duvets, and luggage storage; free internet access and access to computers; free library of books, including travel guides; free maps and travelling advice; free satellite TV and movies and free office supplies and facilities. Do not miss your opportunity to stay at NapPark Hostel, the perfect base from which to explore Bangkok and beyond! Please note that our dorms are not suitable for children under 12 years of age. Teenagers aged 13-16 years old should be accompanied by a parent. Take a public metered taxi (24-hour service) at the 1st floor, near Entrances 4 and 7. From the airport to our hostel (including 50 Baht surcharge and toll), the fare should be approximately 400 - 500 Baht, depending on traffic conditions. Alternately, take the Airport Sky Train (SA City Line) to Phyathai Station and then catch a metered taxi to NapPark Hostel. The fare is approximately 100 Baht. Insist that the metre is turned on! This train provides service between Suvarnabhume Airport station to Phyathai Station (30 minutes, 90 Baht) which covers a distance of 28 kilometres and provide service from 6am to midnight every day. This is our address in Thai. Just show it to your taxi driver.